About Abberly Twin Hickory Apartments in Richmond, VA.
Abberly Twin Hickory represents a new style of living in the beautiful and exclusive Twin Hickory Neighborhood in Richmond’s West End. The beautiful community is just minutes away to world class shopping at Short Pump Towne Center and easy access to I-64, I-295 and I-95. Enjoy unmatched comfort in spacious floor plans with 9’ ceilings and gorgeous crown molding. Get your dream kitchen with two choices of finishes; our classic chef-style kitchen with bright white cabinetry and white appliances or contemporary chic with mocha wood cabinets, black appliances, granite countertops and planked-style flooring. Take a stress-relieving dip in our beautiful resort-style pool. Spend relaxing afternoons on the large entertainment patio with outdoor fireplace, grilling stations and plenty of seating and umbrella tables. Meet up with friends after work at our internet café with lounge areas, billiards table, large Smart TV’s, computers and coffee bar. The desirable Twin Hickory neighborhood features tree-lined streets, miles of bike trails, sparkling ponds with founds and Richmond’s best schools within walking distance. 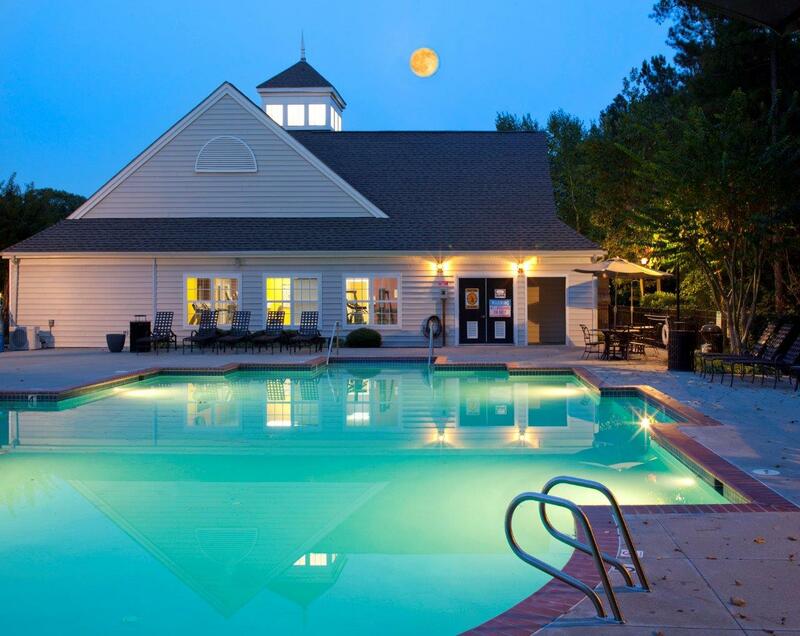 Experience the perfect balance of serenity, convenience and comfort at Abberly Twin Hickory.